Even though I have a huge amount of books on my TBR (to-be-read) list, I often check out my local library's website for book recommendations from other library members. 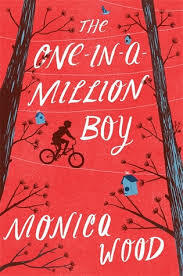 The One-In-A-Million Boy by Monica Wood was one of the books featured on the website, so I picked it up as I liked what had been said about it. I'd like to thank that library member for sharing their recommendation, because this book is one I enjoyed very much; it is such a sweet tale, and left me thinking about the characters long after I had finished reading it. It centres around Miss Ona Vitkus, a 104 year-old woman, who immigrated from Lithuania to America many, many years ago, and an 11-year-old boy, (known throughout the entire book as 'the boy') who is sent on an assignment from his Scouts group to help Ona for a period of time with household chores, in order to receive his merit badge. Ona is used to being alone. 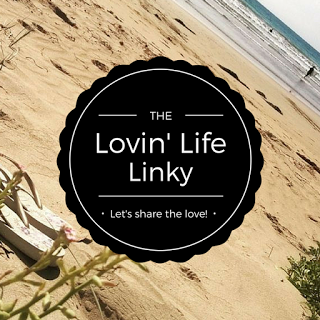 She is fiercely independent and enjoys her own company, but she forms a special bond with the boy. He chooses to interview her for a school project, and they each learn a great deal about one another. The boy is passionate about the records in The Guiness Book Of Records books, he enjoys counting and grouping, and not unlike Ona, he is somewhat of a loner. Ona looks forward to the boy's visits every week, she shows him tricks and gives him cookies as they chat. And now it gets a little tricky for me, because I am going to choose to stop there and not reveal anything further. I'd love to blurt out what unfolds, but this is a book that you should experience for yourself, without any spoilers. It is lovely and it is emotional, and it has one of the best endings that I've read in a while. Buy it, or at the very least borrow it, as I am almost certain that you won't be disappointed. Ooh how interesting that your son has been to Lithuania; it sounds like a wonderful experience for him! This book is definitely worth picking up. I love a book that lives on in the mind long after the back cover is closed. This sounds so intriguing.. I am most definitely going to chase this book down now and read it!